I love the Cybermen. Of all the monsters in the Doctor Who universe, they will always be at the very top of my list. And because we ended Series 8 last fall with the Cybermen with some interesting new capabilities, I thought it would be fun to go back to the beginning and check out their evolution. Or, thanks to the (and I hate to use this term) timey-wimey -ness of the show, I should say the evolution of the Cybermen as we have seen it. Invented by Kit Pedler and Gerry Davis in 1966 for Hartnell’s regeneration story, they serve as a warning to mankind about the dangers of replacing our humanity with technology. And they’re terrifying. Of all the cyborgs in all the universes, the Mondasians reign supreme. Specifically for me, the first two versions we see from The Tenth Planet to The Wheel in Space. These guys scare me a lot more than the Cybermen of today, and that was the point of them. 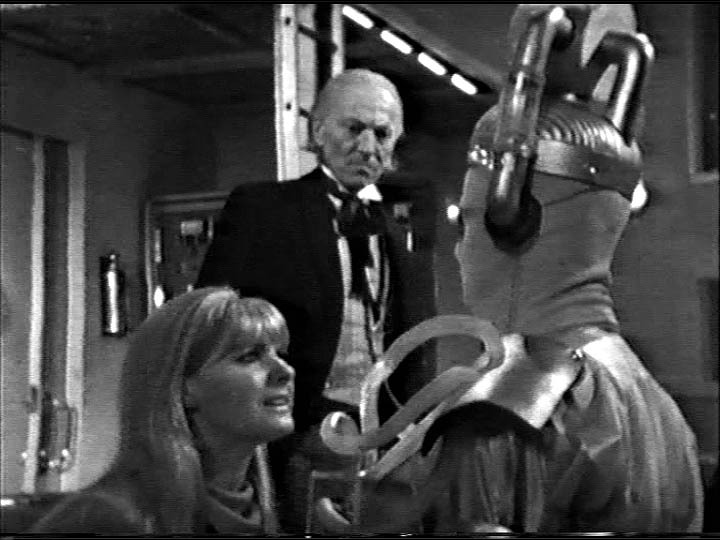 And though they are often mocked, no matter what anyone says about the original Cybermen, The Tenth Planet will always be one of my very favorite stories. When you look at an original Cyberman next to, say, one from Nightmare in Silver, it’s obvious that one looks vastly more high-tech than the other. That’s a given considering their designs were created nearly five decades apart. And I will say that in 2013, Neil Gaiman set out to make us afraid of the Cybermen again. And he did. I think they are at the very best they’ve been since Doctor Who returned to television. He brought back that quality of mystery and eeriness that we haven’t seen in many years, and that I feel originated in 1966. The large boxy life support system, the enormous head lamp, and the still-human hands make them a scary sight. They don’t look completely robotic as the Cybermen of today do. There’s still obviously human bits leftover instead of just a human brain in a metal suit. And their voices carried a great deal more inflection than they do currently. When they speak, their mouths open but their lips do not move (except for the occasional chin movement that you can see through the mask). They hang longer on some words and syllables than others and this makes them sound even more inhuman, despite the human quality of the voice that remains under the layer of cybernetic alteration. To me, this makes the removal of their emotions much more obvious because while the inflection is still there, there’s nothing human about it. Later, their voices will undergo many more alterations, from being completely tinny and monotone, to having loads of inflection but sounding like a ruined record player–to say nothing of what came along with the age of “Delete. Delete. Delete.” I’m okay with all of those changes (well, except the last one), but the original design and sound will always have my heart. 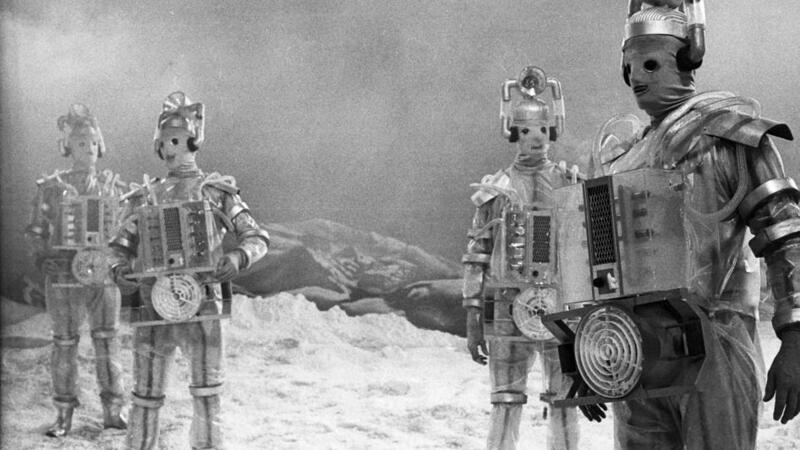 The early Cybermen are eerie to me. They certainly move much more quietly than they have since 2006 (though I’ll admit they have gotten better recently) and as a result can sneak up on you and kill you. Especially if you’re standing in a blizzard at the South Pole. They can don (not terribly effective) stolen cloaks and take over your military base and you won’t know until they’re in the room with you. They are cold and logical as ever, but seem to be more open to discussion before they kill you. Not that they’ll listen to you, but they seem to enjoy (you know, if they had emotions) telling you that whatever you want to try to do will be useless anyway. Nowadays they just try to convert you or delete you before you can get two words in. 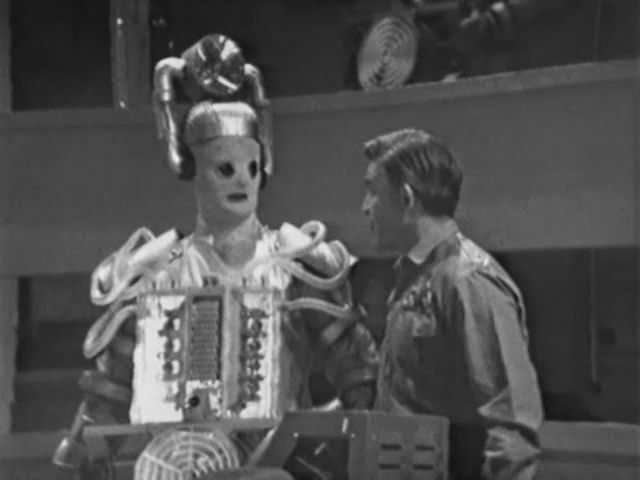 I love the weaknesses of the early Cybermen as well. They are still human enough to be temporarily blinded by bright lights and are not able to handle radiation at all. I like how the changes in weaknesses over the years point to where they are in their evolution because they probably evolve more than just about any race in the Doctor Who universe. Or should that be upgrade? As for our dear Doctor, William Hartnell gives a stellar performance with all the gravitas we expect from the man who started it all. Despite being very seriously ill, he is still very much The Doctor that we love. He’s still the senior man in the room as far as authority–despite what the General believes– and he does not let us forget that. He also shows that characteristic display of concern not only for the Earth and its’ people, but for this new race they’ve encountered and what could be learned from them. His concern for his companions is also still there, and he displays it not only by voicing that concern, but by the way he and Polly tend to cling to each other in certain moments. I love him in this story, even though it is his last (regular appearance, anyway). I really like Dr. Barclay because he seems to understand the danger not only from their situation, but also in the General’s proposed solution to it. He’s a good man with an obvious sense of morality in addition to his intelligence. He nearly loses his life trying to stop it (multiple times). General Cutler is a character that grew on me between the very first time I saw this story several years ago and watching it now. He is a ruthless man and his actions are incredibly reckless, especially once he finds out from Geneva that his son volunteered for what was essentially set up to be a suicide mission. He’d already lost two astronauts, and was now about to lose his son as well. The first time I watched this, I thought he was just a power-hungry military jerk. He was so hell-bent on destroying Mondas that he wasn’t giving any thought to the possible repercussions for the Earth that Dr. Barclay was warning him about. Now, however, I see him a bit differently. Now that I’m a parent myself, I think I can see more easily that there was a desperation in his character because he just wanted his son back alive. As he later pointed out, his son was the only thing he actually cared about and he was rightly distraught because he believed that the sabotage would guarantee his son’s death. He just didn’t realize that, had he been allowed to fire that missile at Mondas, that more than likely would’ve killed his son and/or the entire side of Earth facing Mondas (including himself). Maybe I’m just projecting my own parental instincts onto him, but I felt a great deal of sympathy for him even though I believe his actions were wrong. I understand why he wanted to do what he tried to do. The real stars in this though, are obviously this mysterious new race we’ve encountered. The sight of them is so common today that I think we’ve sort of taken them for granted. And, yes, their story has become quite muddled with the addition of the parallel Earth Cybermen in Rise of the Cybermen/Age of Steel. But I won’t get into that now. That said, it obviously isn’t a very Doctor-heavy story, considering he was unconscious for a pretty good portion of it. In some ways, though, that turned out to be great because it really gave not only the companions, but other characters a chance to shine. Ben and Polly did a great deal of the heavy lifting for this story. Ben did quite a lot of problem solving, which I enjoyed. Watching him reason things out to lead the so-called scientists to a conclusion. It seems to me the radiation thing should’ve come more quickly to them, but then what do I know? I also thought this was a particularly good episode for Polly, and worked as a set-up to something else she will do later in The Moonbase. In a base full of men, she’s (as ever) not paid much attention other than to say that she’s probably terrified and should find somewhere else to go and let the men work. Instead, she cleverly volunteers to make them coffee, just so she can stay where the action is. This is how she ends up giving Dr. Barclay the idea to pretend to follow the General’s orders and try to prevent the missile from being launched at Mondas. She basically provides the solution, even though it didn’t happen exactly as intended. Overall, I really love this story. I love the suspense as Earth and Mondas both hang in the balance. I love that Dr. Barclay and General Cutler got a little bit of character development, which doesn’t often happen with one-off characters. And I think that this is one of the most effective origin stories for any Doctor Who enemy.